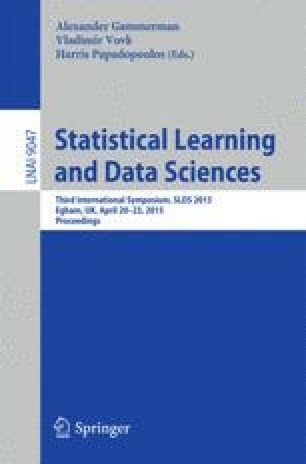 The paper presents a new geometrically motivated method for non-linear regression based on Manifold learning technique. The regression problem is to construct a predictive function which estimates an unknown smooth mapping f from q-dimensional inputs to m-dimensional outputs based on a training data set consisting of given ‘input-output’ pairs. The unknown mapping f determines q-dimensional manifold M(f) consisting of all the ‘input-output’ vectors which is embedded in (q+m)-dimensional space and covered by a single chart; the training data set determines a sample from this manifold. Modern Manifold Learning methods allow constructing the certain estimator M* from the manifold-valued sample which accurately approximates the manifold. The proposed method called Manifold Learning Regression (MLR) finds the predictive function fMLR to ensure an equality M(fMLR) = M*. The MLR simultaneously estimates the m×q Jacobian matrix of the mapping f.